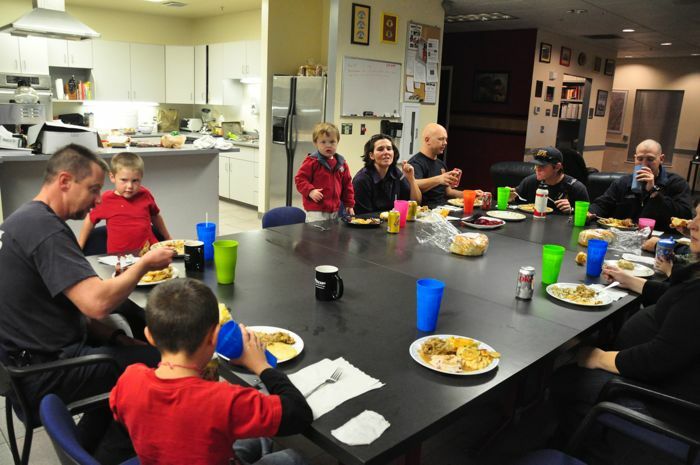 So firefighters have to work 24-7-365….and this year was one of those times that I had to work on Thanksgiving day (and the Friday after too). It’s been a while since I had to since normally I have had enough seniority to get the weekend off of work. However this year was different…with the new baby only a few weeks away and travel is ill-advised at this point in a pregnancy we decided to stay put – and honestly, even though it was tough to not be around the WI family, it was great not to have to deal with any holiday travel. The shift was a busy one at the station, and just like it would have been scripted for a movie, as soon as we sat down with the families for dinner, the bells rang and off we went. Luckily, we weren’t gone too long and were able to make it back to the station for the rest of dinner. 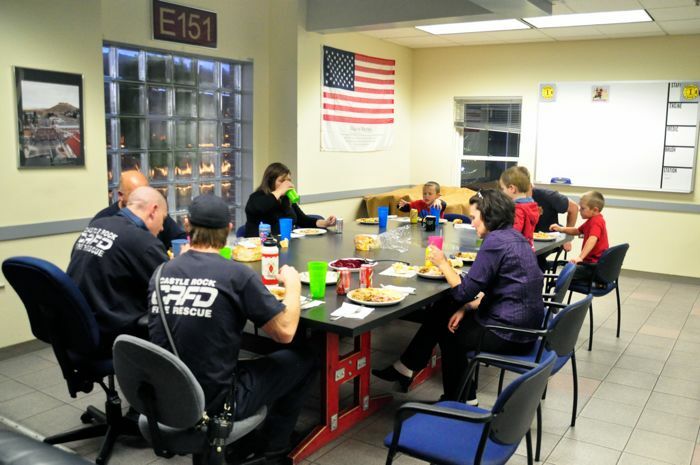 Ahna and Ezra were able to come down and enjoy the dinner with us; which always makes working a holiday a little easier.